Nutritious Ladoos is a very healthy and delicious snack prepared with oat and dry fruits or nuts. Oats are technically gluten-free, instead of containing gluten, oats have a protein called avenins.Oats ladoo is very healthy for kids and adult. They are very delicious and easy to make. Take a big bowl add oat, coconut oil, peanut butter, shredded coconut sugar and all nuts, mix well with hand until well combined. 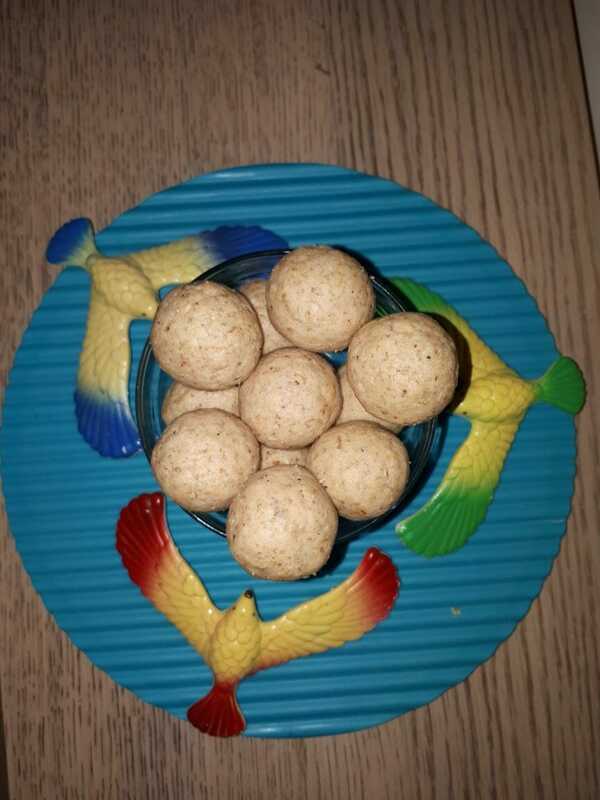 Take out the little mixture in your palm and make ladoo or ball.Now you can it will milk or tea for breakfast or snack.